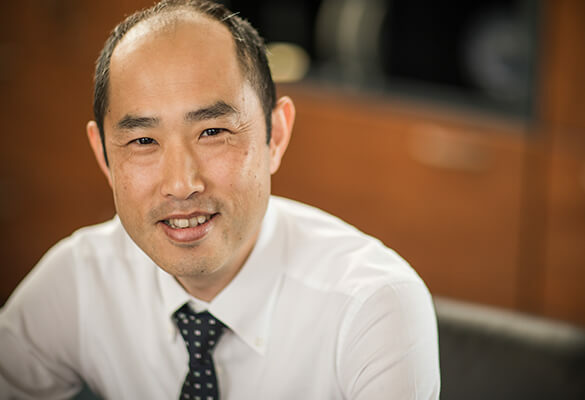 Masakazu Goto, Director of SOHO Business and Supplies at Brother International Europe, explains why genuine Brother ink and toner have the perfect chemical composition to complement the raw materials embedded in our devices. Here’s my food for thought - have you ever considered how you fuel your printing device impacts on the health and performance of the machine? The answer is probably no, however using non-genuine ink or toner could result in a costly deterioration of your device. It’s a possibility that they cause instant damage by not containing the right ingredients to work in synergy with the machine. The health of the device comes from within and our supplies are a wholesome partner for our models. Our cartridges contain the perfect balance of chemicals to protect the printing device while delivering optimum performance. In contrast, non-genuine cartridges could stealthily cause damage to the inside of your machine, ultimately leading to the printing device breaking down. Using non-genuine ink cartridges in one of our inkjet devices may release chemicals and acids that melt the metallic parts in the cartridge, eventually reaching the intricate nozzle of the print head and causing its corrosion. As the most critical component of an inkjet model, it’s pivotal to the performance of the machine. When it comes to our laser devices, non-genuine toner cartridges may also damage the machine, as well as create anomalies to the print-quality through fluctuating temperature. Like cooking, the heat of laser printing must be exact to achieve the best results in terms of print quality and resolution. If the melting temperature of toner particles is too low, the toner will not stick to the paper properly and can leave marks and lines on the page. It can also be rubbed off easily, meaning it could transfer to hands and clothes. A temperature too high will give the toner a sticky texture and it will remain on the fuser roller, risking bad print quality, a paper jam and a fuser replacement. Paying to fix the fuser unit in a laser device or the print head on an inkjet machine because of damage caused by non-genuine cartridges ultimately represents a false economy. Customers using non-genuine supplies may find their Brother warranty is affected. So, looking after your device by using our original supplies will pay dividends for your business. No matter the print volume requirement of our customers, we have a solution that fits all - our menu of supply options ranges from standard to high yield, super high yield and ultra-high yield. For businesses looking for the most cost-effective solution, our ultra-high yield option delivers 20.000 pages per toner cartridge. The higher the customer ‘bulk buys’ the yield, the better the economy of scale for them. Increasing the efficiency of a workplace is a benefit as replenishing supplies becomes less frequent with an ultra-high yield cartridge too, allowing customers to get on with their day job. Bringing even more value to our customers, our supplies meet ISO/IEC standards. Customers know they are getting what they are paying for as yield specification is guaranteed. Providing more than just financial benefits, original Brother supplies also have sustainability advantages thanks to our free return and recycle scheme. Customers will contribute to protecting the environment by recycling used toner and inkjet cartridges and, the icing on the cake, this process supports our rainforest-saving charity Cool Earth. Using Brother original supplies creates perfect device and cartridge symbiosis. There is a clear correlation between the high performance and longevity of our devices and what you feed them with. Hopefully you can see that our supplies are the ‘superfoods’ for our machines.